MindBeacon Group employees - Colin Andersen, executive vice-president, and Katrina Potkins, business manager - are trailblazing a new space in digital mental-health therapy for Canadians. Conversations around mental health have never been more prevalent, but gaining access to therapy can still be difficult in Canada. In-person therapy can be beneficial for those who are willing to take the first steps, are able to adjust their schedule to attend sessions and can cover the costs. But what if a person suffering from depression or anxiety could type and text with a qualified therapist as often as they liked by accessing a secure internet tool on a cellphone or desktop? In 2016, Sam and Claire Duboc set out to see whether they could get people off waiting lists by taking the mental-health counselling business digital. Originally, the plan was to become the Starbucks of psychological clinics, but the Dubocs quickly realized they could make more of an impact if they used technology to create a less-expensive experience for people in need of mental-health care. 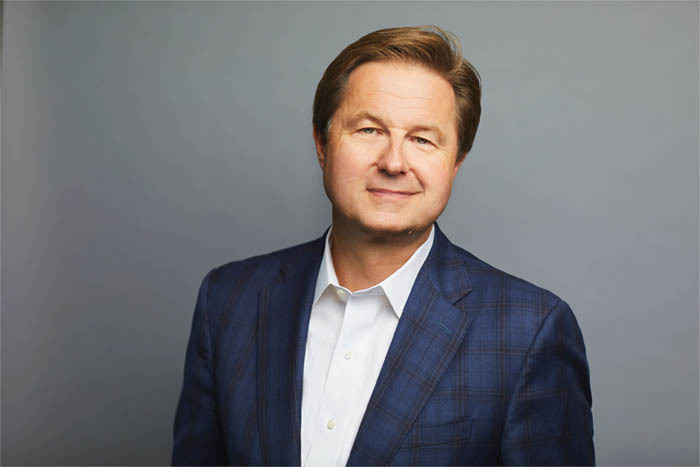 “Using digital capabilities, we can triage and treat people who are not yet at the point where they have major mental-health problems,” says Sam Duboc, executive chair and chief executive officer of Toronto-based MindBeacon Group. The company’s approach was to build a digital platform called Beacon where patients can access registered therapists and get responses within one to two business days. In 2015 the Dubocs partnered with CBT Associates, a private clinic in Toronto run by clinical psychologists Peter Farvolden and Eilenna Denisoff that since 2002 has offered cognitive behavioural therapy (CBT) to those with psychological issues such as anxiety, depression and post-traumatic stress disorder. Together they pivoted the focus from expanding the single clinic to multiple venues, to a more technology-based platform. MindBeacon Group now employs 162 people between four CBT Associates locations in the Greater Toronto Area and MindBeacon Health with its national Beacon web-based digital platform. Mr. Duboc is no stranger to startup success. He’s the co-founder of Loyalty Group Inc., the parent company of the Air Miles reward program, as well as EdgeStone Capital Partners, a leading private equity firm, and has sat on the board of directors at the Centre for Addiction and Mental Health in Toronto. Despite his impressive résumé and insights into mental-health care in Canada, Mr. Duboc wasn’t spared from depression. After experiencing the death of two close family members – his father and brother – as well as undergoing personal health issues of his own, Mr. Duboc fell into a slump in the fall of 2011. He struggled to find adequate help. And he recognized that if he was having difficulty, then the average person must be severely underserved. The MindBeacon Group aims to offer better access. The Beacon platform connects patients to therapists who offer CBT on an on-demand basis. It’s available in both national languages for anyone in Canada, regardless of their geographical location, life schedule or fear of stigma. Mr. Duboc shares three points that need to be considered before signing up for mental-health care delivered digitally. What kind of evidence-based care will be provided? Cognitive Behavioural Therapy (CBT) is the most studied form of psychological therapy; its effectiveness in helping a range of mental-health concerns is clinically proven, with more than 40 years of research and practice to back it up. The CBT approach is focused on learning and practising resiliency skills to better manage distressing thoughts and feelings that arise under stressful, challenging situations. Can the care be personalized? Whether it’s offered digitally or in-person, CBT is most effective when it’s tailored to an individual’s specific condition – along with ongoing adjustments that reflect the progress made and the nature of interactions with the therapist. To achieve this, a thorough assessment upfront is necessary so the therapist has a rich insight into the patient’s issues and needs. Who will provide the care? Research demonstrates that a single-therapist model for delivering a beginning-to-end digital CBT program (iCBT) consistently achieves the best results. Ideally, this therapist would be a registered mental-health professional trained specifically to provide care through digital interaction. New users are required to fill out an in-depth intake form that typically takes 20-30 minutes and delves into the person’s medical background, including past and present drug and alcohol use, sexual abuse, anxiety and depression symptoms, points of psychosis and more. No appointments are needed. Each Beacon patient can communicate directly with their designated therapist as often as they like by accessing the tool through mobile or desktop application. The therapists, all of whom are registered social workers, are experienced in providing CBT and have also received further training to deliver it digitally. The entire team is overseen by a clinical psychologist. Each therapist, who is licensed to practice in the Canadian province or territory of the patient, responds to messages within one to two business days. It’s important to point out that Beacon is not a crisis centre. In case of an emergency, its health-care staff are trained to detect and redirect anyone who might be at risk of harming themselves or another. This style of therapist-patient communication is significantly less cumbersome than traditional therapy, and it’s reflected in the fees. Currently, Beacon’s business model is focused on business-to-business as a way for employers and insurers to provide mental-health care. Beacon has signed clients such as Telus, Rogers and Maple Leaf Sports Entertainment in its short existence. Individuals without a benefit package can also sign up and pay out of pocket. It costs $595 for a 12-week period of unlimited communication with a therapist. In 2017, Health Quality Ontario developed a report suggesting that internet-delivered CBT be publicly funded because of its effectiveness. MindBeacon Group therapists communicate with clients through digital messaging. Still, Mr. Duboc says shifting the perspective of how mental-health issues can be supported digitally has been a challenge. MindBeacon Health gives security concerns the utmost priority, given the deeply personal and sensitive nature of their work. Data collected and stored within the company is encrypted to meet the highest levels of data security available today and complies with all industry standards, including provincial regulations. Only people at a certain levels have access to the database and the company has full-breach protocols. All user data collected remains in Canada. While security could be a concern for some potential users, the benefits of accessible and affordable therapy seem to outweigh any possible risks for most; the number of people using Beacon continues to grow. Since the beginning of 2019, it has signed on multiple new companies, which means about a million Canadians and their families now have access to this digital CBT solution. "It’s a mix of social purpose and business and we’re finding it to be a terrific opportunity to really help people get better, but do it in a way that’s sustainable,” Mr. Duboc says.